"Love is blind", ironically because it can "see" beyond mere appearances, deep into where eyes cannot perceive. 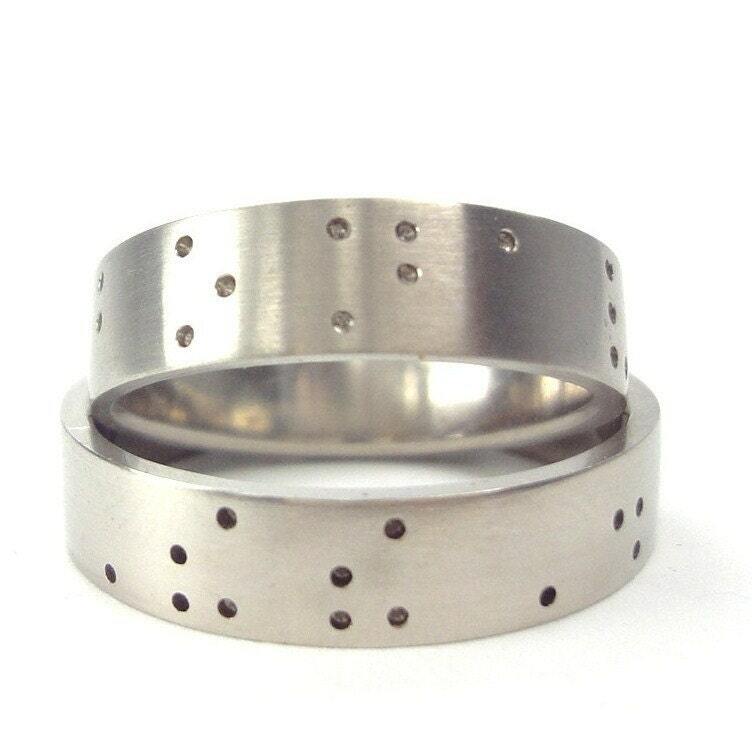 With these, bride and groom exchange bands with their names depicted in the Braille alphabet. The bands are hand worked in a high degree of precision and perfection, giving them a fresh and clean, modern style. 5mm wide bands. This listing is for sterling silver bands in bas-relief (the braille letters are made as holes, see first picture). For rings in high-relief (see the top ring on the second pic), view: http://www.etsy.com/listing/79072419/ring-pair-love-is-blind-high-relief .